Her compassion is legendary. At one time, 25 penniless and homeless people were housed and fed in May’s attic, basement and garage. Countless other times, when neighbors needed food for their children, they came to May; she always provided assistance, even if it had to come from her own meager resources. In addition when someone was charged justly, or unjustly, May knew where to go downtown and who should be seen. The late Abe Dudnick, one of Cleveland’s most eminent attorneys, described May Dugan as having “a combination of intelligence, tenacity, and charity, unmatched in her fight for the down and out and the forgotten.” In 1932 May opened the first of a series of Irish neighborhood taverns, with the last one established in 1940 on W.58th and Detroit, and known as Dugan’s. Under May’s proprietorship, they offered a venue for May to help her neighbors find jobs, food and clothing, and legal advice. 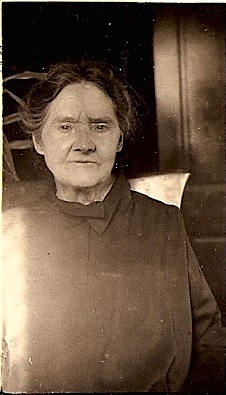 May Dugan’s mother and father came to Cleveland in 1882  arriving in a horse-drawn wagon from Detroit, and part of the Irish migration from Achill Island on the northwest coast of Ireland. May, born in 1892, married William Reynolds in 1910 at St. Malachi’s Church. They had six children: James, Hazel, Francis, Rita, Hubert and Mary Jane. What a wonderful person. Great that it is documented.